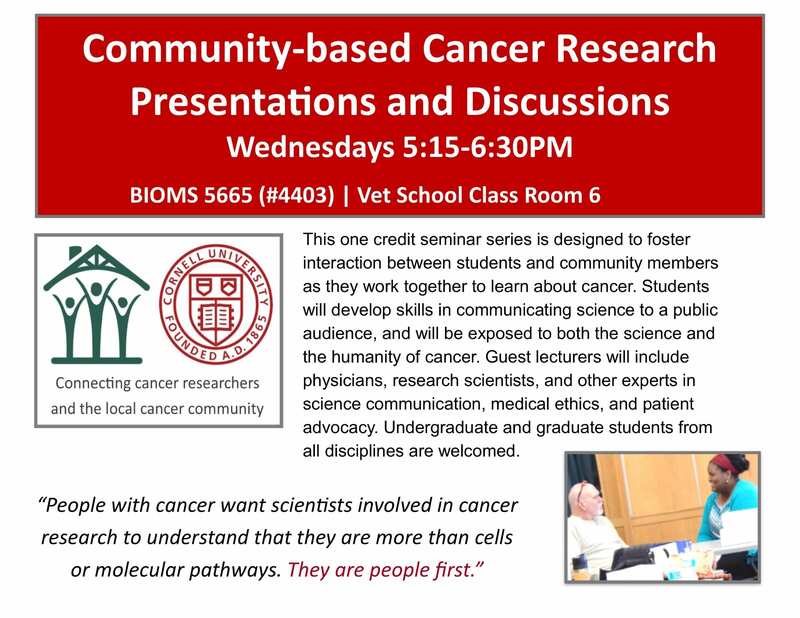 We offer a class each spring titled Cancer-Based Cancer Research Presentations and Discussions (BIOMS 5665). This is one course of the 4 course curriculum that leads to a Graduate Certificate of Engagement in Public Communication of Science & Technology. 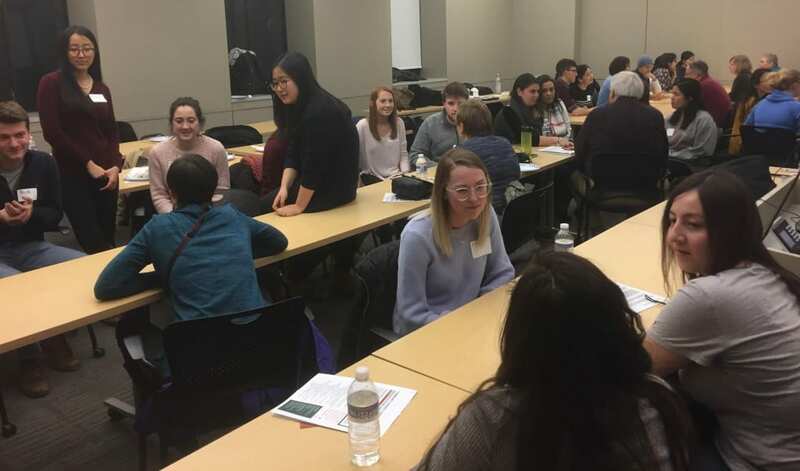 One speaker noted that the class is perhaps the most diverse class at Cornell – we have community members with cancer, family members, doctoral students in the basic sciences, premeds, health administration students, bioengineering students, and more. Do not ask for medical advice. The students are not physicians, and the physicians who do attend are not there for that purpose. Ask questions. Part of the rationale for the course is to give students practice in explaining science to the public. If you have a science background, remember that we’d rather learn about the science from the students and faculty. Remember that the students are students. Be supportive and kind. Do not focus exclusively on your own cancer. We encourage community members to share their own cancer experiences throughout the semester, but do nt overshare. These are not medical students. They do not need to know every detail. Bring positive energy to the class. Be professional. Always follow-through with your commitments. Be engaged during the class. Don’t go through your email or otherwise distract yourself and your neighbors. 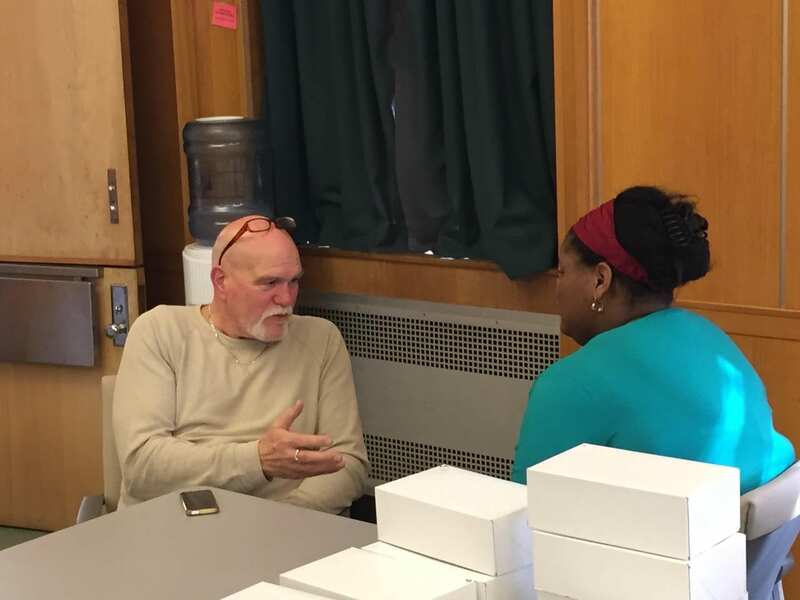 Know that it is ok to ask questions to community members. We want to share with you.